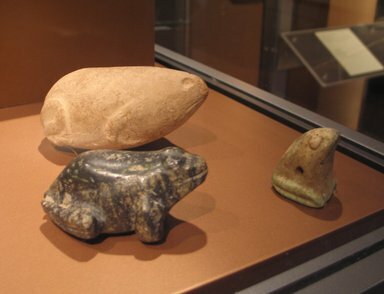 Limestone sculpture of a crouching frog. Pointed head formed in same mass with body. Eyes indicated by circular depressions; legs in low relief. No details indicated on body. Presumably a votive offering. Condition: Left rear leg and lower back chipped.